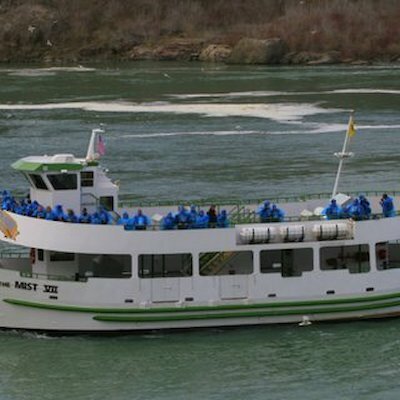 The world famous Maid of the Mist boat ride ,which is North America’s oldest attraction having started in 1846, quietly slipped into the lower Niagara River a few days a go. This is a trip that takes you to the base of both falls where you get up close and personal to the majestic cataract. It’s the final year of operation for the,”Maids” from the Canadian side of the border. Next year the “Maids” will operate from a new docking area on the U.S. side of the border. A new boating operation (yet unnamed) will be operating from the Candian side using the same docks formerly used by the “Maids”. The new boats are owned by Hornblower, a company that operates tours in other parts of the United States. 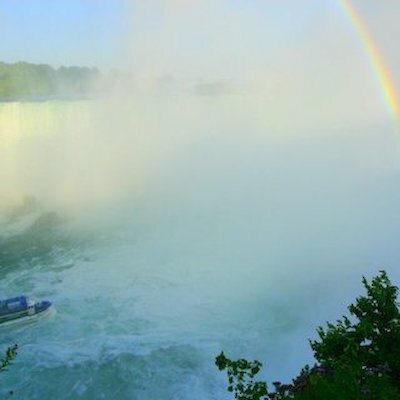 This will be the first time two different boat tours will be operating at the same time below the falls. It should be interesting.